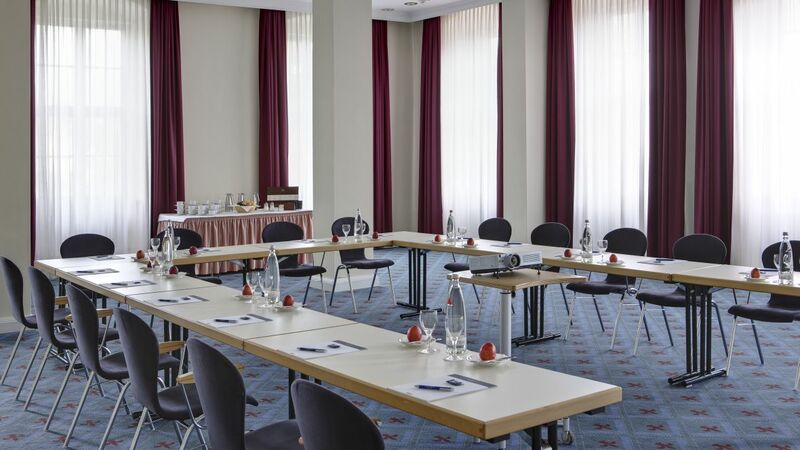 Noted for its impressive architecture the WELCOME KONGRESSHOTEL BAMBERG was designed for the hosting of conferences and congresses. Immediately adjacent to the grade 2 listed "Ziegelbau", the 3-star superior hotel offers 171 quiet, air-conditioned rooms and suites. 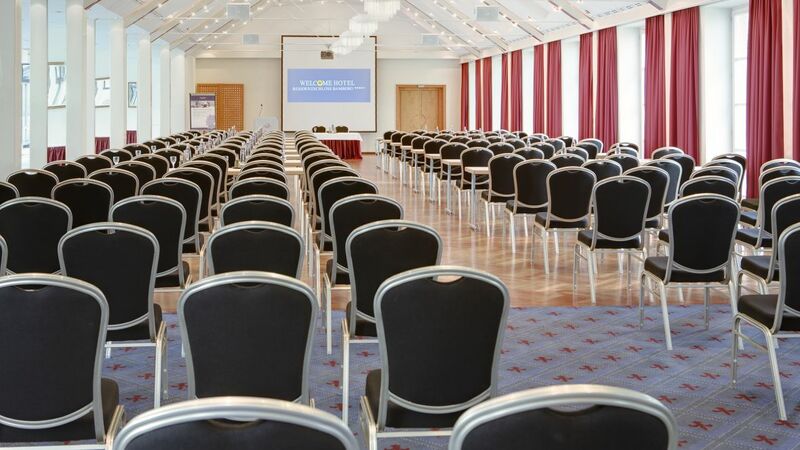 14 rooms covering an impressive 2,000 m² in total including the large ballroom, are available for the staging of conferences and events. Dining facilities include the Plückers tavern and beer garden, the in-house Regnitz restaurant and a daytime snack bar. The hotel also has a wellness centre for those looking for a little exercise (extra charge). Set right on the banks of the river Regnitz, the hotel is only a few minutes walk from the historic centre of town.